Neck pain is a condition that millions of people experience at some time in their life. For most of the cases, treatment of the condition can be done without surgery, although there are some symptoms that may reveal a serious condition that warrants immediate medical attention. Most neck pain cases have no verifiable root in the anatomy, although some could be traced back to general causes like muscle strain, cervical herniated disc, or stenosis. Acute neck pain is usually caused by muscle strain or a sprain in one of the ligaments of tendons. Injury of this type can result from sudden force from a car accident, or from straining the neck through wrong sleep posture. Minor injuries to the ligaments, tendons, and muscles in the neck usually heal with time, owing to the fact that soft tissues get good blood supply with the necessary protein and other nutrients. Care is mainly non-surgical, such as the use of heat and/or ice, medications, physical therapy, osteopathic manipulations, etc. These can be helpful in mitigating pain while the affected part heals. Neck pain that radiates down the arm: Pain of this sort may come with numbness or tingling in the arms or hands. These symptoms can start up all of a sudden, or over a long time. It is often the result of cervical herniated disc, or foraminal stenosis pinching a nerve in the neck. Treatment is decided based on the duration of pain, its intensity, and how the condition has affected the cervical nerve and/or spinal cord. 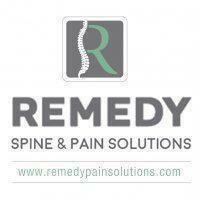 Symptoms are generally temporary and do not require surgery to repair. Neck pain related to activities or positions: Pain of this type sets in slowly and starts to happen after the person does certain activities or stays in certain positions. A lot of the times, foraminal stenosis is the cause, affecting a nerve root on one side of the spine. The cause can be wearing or aging related changes in the neck joints or at the margins of the disks. Diagnosis can be done through an MRI scan or a CT scan.